There are numerous ASUS notebooks available, some at similar price points, so choosing which is best for your needs may appear rather daunting at first. 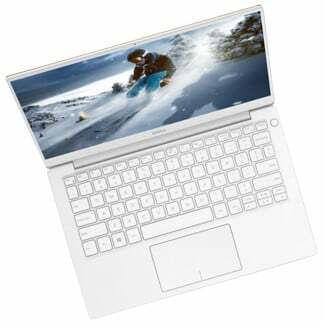 If you were to narrow down your search to one that offers great value and features, the ZenBook 15 would be your best option. We'd all have the latest and greatest Ultrabooks if we could afford them. But lots of us can't — or just don't want to — hand over thousands of dollars for a computer. Fortunately, there are a lot of choices for the budget-conscious laptop buyer that still provide a great Windows 10 experience. These are the best cheap PC laptops available today. The Samsung Galaxy Book2 is the company's flagship notebook in the 13-inch segment, sporting the latest components and premium design. While not the best value on the market, this Dell laptop will certainly put a smile on your face. The Dell XPS 13 (9380) is the company's flagship notebook in the 13-inch segment, sporting the latest components and premium design. While not the best value on the market, this Dell laptop will certainly put a smile on your face. Sometimes you want a tablet and sometimes you want a traditional laptop. Available in both 13-inch and 15-inch configurations, Microsoft's Surface Book 2 (starting at about $1,200) is our top choice when it comes to Windows laptops. The Microsoft Surface Laptop 2 is our pick for best Windows laptop thanks to a slim, premium design, powerful hardware inside, and an outstanding touch display. The HP Spectre 13t has the right mix of smart design, premium quality, beautiful display, and powerful hardware to make it our overall pick for an HP laptop. The Razer Blade 15 has the right combination of power, style, and display to make it our top pick over the albeit impressive range of gaming laptops on the market today. The Blue Yeti is often recommended if you're simply playing games and need to communicate with friends and guildmates. It's also a fantastic microphone for streamers too, thanks to included features, sound quality, and ease-of-use. It's also not too expensive. 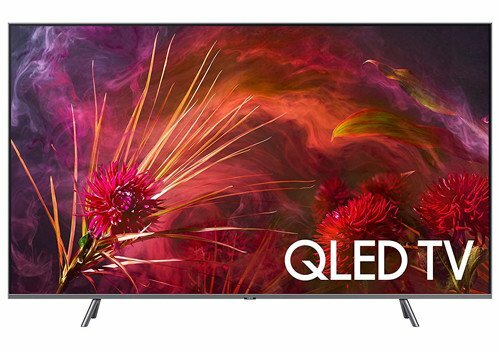 The Samsung Q8F is an excellent choice for console gamers, particularly Xbox One X owners. If you need to take your gaming to the next level with 4K and HDR technologies, you could do much worse than the Q8F. Do yourself a favor and spend the money to get the most out of your console. The Amazon Basics HDMI cable is everything you need to get back up and running with your Xbox One S or X if your existing cable has fallen afoul of a curious pet's jaws or angry partner's scissors. The Amazon Basics cable is as affordable as they come, yet still boasts the quality of more expensive alternatives. At Windows Central, we have a particular focus on covering and testing gaming headsets. I have personally testing dozens upon dozens of the latest and greatest solutions from all sorts of manufacturers, both big and small. We've put together a list of all the headsets we think are the best for all sorts of users, regardless of your budget. The WD 4TB My Book is a worthwhile purchase for anyone looking to install a large number of games on their Xbox One, taking full advantage of a whopping 4TB of storage. In order to play games on the Xbox One you'll need a controller. Microsoft's Xbox Elite wireless controller is the best gamepad for the company's console. You can customize it to your needs, replace various components, and even remap buttons through an app for console and PC. The Wheel Stand Pro G is an excellent and well-rounded stand for the Logitech G920 and other Logitech wheels. It's super adjustable, looks sleek, and is built durably. If the G920's standard table clamps just won't cut it, then this stand is the perfect solution. Apex Legends burst onto the battle royale scene and is quickly giving Fortnite a run for its money. If you're jumping ship or just want to get in on the action from time to time, you'll want the best controller possible to do so. As it turns out, the best for most people in this case is your standard Xbox One controller. The YCCSKY Xbox One power brick is a fantastic third party alternative to the standard Xbox One power brick that operates quieter, at higher efficiency, and at a cheaper price to boot, especially as Microsoft begins to phase out production of the original Xbox One. The Amazon Echo (second generation) is the best value-for-money voice-assisted speaker option for Xbox One, providing solid audio playback, with incredible voice recognition accuracy. The Xbox One X is a remarkable console capable of playing games at 4K resolution up to 60 frames per second (FPS). But what if you want to share your high-resolution gaming exploits with the world? The console can capture footage internally, but for the best quality and control, you'll want an AVerMedia Live Gamer 4K. 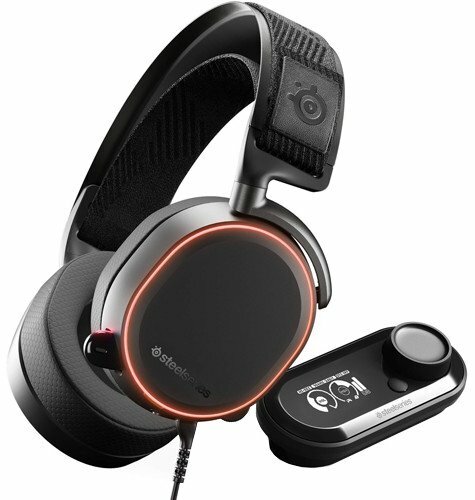 The Turtle Beach Stealth 600 is the best all-around Xbox headset for most gamers, boasting the widest array of features at a bewilderingly affordable price. Comfortable, quality mice aren't exclusive to right-handers. The majority might be designed this way, but the good news for left-handers is that you're in no way left out. One of the best mice for right-handed people, the Razer Deathadder Essential is also available in a left-handed design, and that's great news for you. The Eikon Mini is an affordable PC accessory that allows you to add an extra layer of security on your Windows 10 PC, using the power of Windows Hello. It's convenient, and it gives you some added peace of mind. The Logitech BRIO rises to the top of the pile, with a standout feature list that others just can't match right now. If you're hunting for the very best, then this is the one to get. Getting in shape is hard no matter how long you've been doing or what level you are for exercise and fitness. I've been using Fitbit wearables since 2013 and own nearly every one of them whether budget ones or their best because I'm a fitness junky. If you're looking to get into Fitbit here are four outstanding options in 2019 right now and, luckily for you, I use all four. Which one is right for you? I've rounded up the pros and cons of each including price range, features, and who should buy them. These are the best Fitbit wearables for 2019. While 1080p and 1440p monitors are still popular options for a lot of gamers, 4K UHD displays are catching on in the professional and casual ranks thanks to a way better picture, dropping prices, and better hardware inside our PCs. For most people who need a quality multipurpose 4K monitor, HP's Z27 is a great pick, while the ASUS PB287Q is a more affordable option. 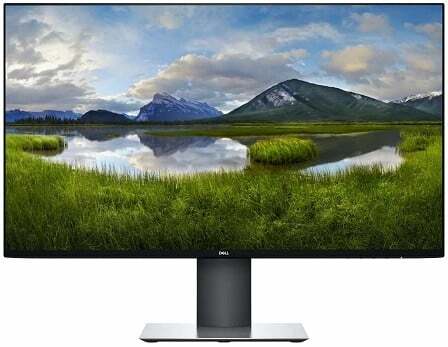 Those who need a 4K monitor for specialized design tasks can check out what BenQ and Dell have to offer, while Acer and LG bring quality options with a focus on 4K gaming. These are our picks for the best 4K PC monitors available today. Keyboard and mouse may be the preferred method of input for PC gamers, but some games just don't suit it. For others, a good controller is what you need, and for that you should be getting the Xbox Elite Controller. When it comes to combating or preventing carpal tunnel syndrome, the best overall mouse you can get is the Anker Wireless Vertical. This is because it's shaped in a way that alleviates and fights muscle pain in your wrist and hands, making it super comfortable to use. In addition, it also has a good optical sensor, excellent battery efficiency, and a convenient compartment on the bottom that you can put the wireless receiver in during travel. 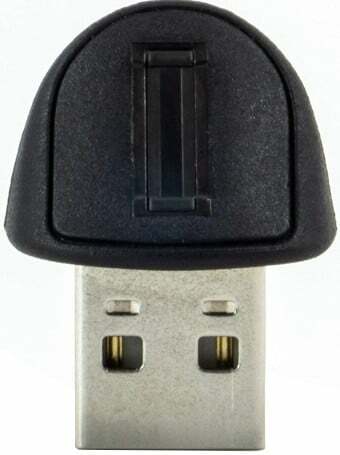 The Jelly Comb Wireless Mouse is, overall, the best vertical mouse on the market for people with small hands. This is because it has a small yet comfortable-to-use design, a good optical sensor, a great range of customization options, and a clever compartment on the bottom for the wireless receiver, all for the very affordable price of $17. The Anker Wireless Vertical is the best overall vertical mouse on the market due to its superb comfort, incredible battery life, unique power-saving mode, and a solid optical sensor. As if these things weren't enough, it also comes with an 18-month warranty, solidifying its status as an awesome choice. When it comes to the perfect balance of quality, price, and utility, you can't beat eSun's General purpose resin. The finished prints are strong, smooth, and detailed. Plus, you should be able to get excellent results with whichever printer you use. As display technology matures, we find higher specifications and features into lower cost monitors. That means we're now treated to a great selection of high-quality monitors at lower prices. We've looked through everything you can get right now and found the Viewsonic VX2457 to be the one to beat. A gaming monitor can make the difference between simply watching what's displayed on-screen and truly immersing oneself in the game. 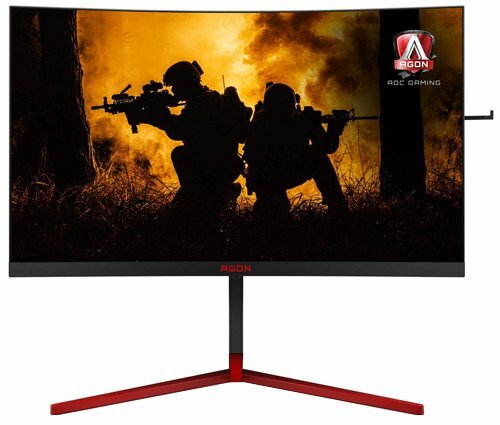 AOC Agon AG27 is one of the better value displays you can buy with a solid refresh rate, response time and support for NVIDIA G-Sync. The CalDigit TS3 Plus can deliver 85W of power to your devices, and it has 15 total ports, making it our top pick for a Thunderbolt 3 docking station. If you want to secure your device, a lock is one of the easiest and cheapest ways to do so. It creates a deterrent to potential thieves and makes it so someone can't just grab the device and run. No laptop lock is impenetrable, but good ones have sturdy lock heads and thick cables that are difficult to cut through. Kensington has been in the business of locks for decades and has a variety of worthwhile options, but the Kensington Combination Cable lock leads the pack thanks to its ease of use, options when it comes to levels of security, and its affordable price. Having the right tools at your disposal when PC gaming is critical, and the heart of your performance is your keyboard. If you want the very best gaming keyboard money can buy, you want the Corsair K95. Quad HD (QHD) is the go-to resolution for PC monitors, offering an extended workspace compared to Full HD (or 1080p). 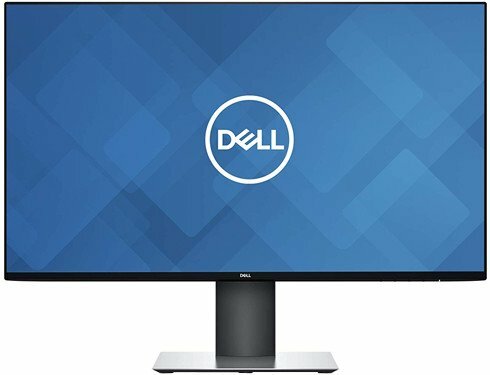 Our favorite 27-inch monitor that sports this resolution is still the trusty Dell UltraSharp U2719D, which sports incredible colors and overall build quality. There are so many gaming mice to choose from. You have traditional wired and wireless options. There are ones with numerous buttons for programming, as well as others that only focus on comfort and accuracy. Here's a selection of the best gaming mice we've tested, but if we had to recommend one it would be the SteelSeries Rival 600. The Kensington SD7000 Docking Station is the best dock you can buy for the Surface Pro right now, featuring an excellent design, plenty of ports, but at a high price. The Jadaol Cat-6 Ethernet Cable supports the peak speeds of the Netgear Nighthawk AC1900 within distances acceptable for most households. It's also affordable and the form factor makes it easy to disguise in the house. The 650W SuperNOVA P2 combines the best in efficiency with quality components and brilliant features, and it's all matched by a 10-year warranty. The G.Skill TridentZ RGB 3200 is our favorite DDR4 RAM on the market with formidable performance and a bold design. 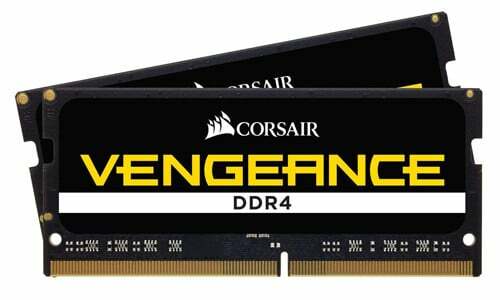 It's perfect if you're after the best RAM for gaming and productivity. There might only be one good choice right now for a clear case for the XPS 13, but thankfully it's a really good one. 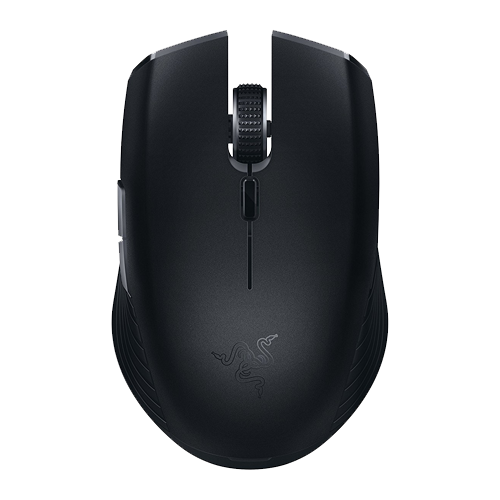 The Razer Atheris is our choice for the best Bluetooth mouse to travel with. 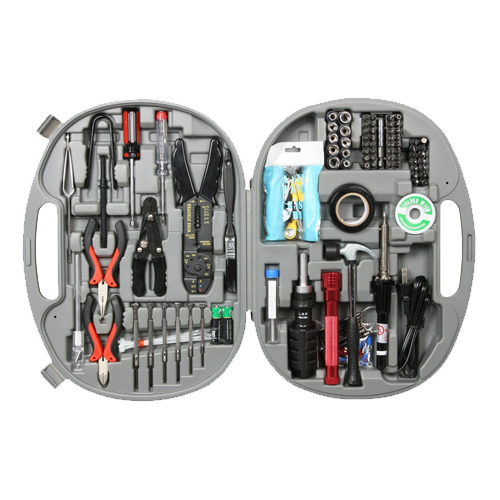 Its compact size, long battery life, comfortable ergonomics, and excellent performance make it a solid companion for anyone to take along for the ride. The Urban Armor Gear Metropolis is everything you'll need to keep your Surface Pro safe and looking like new. 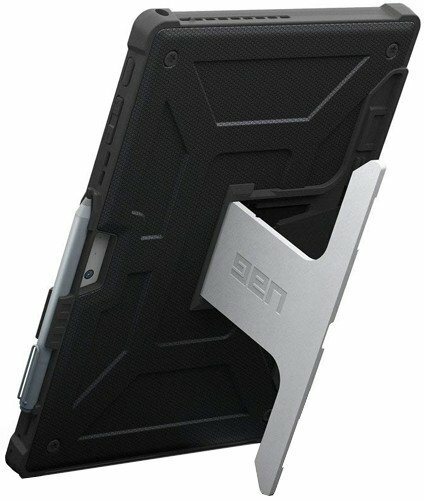 Not only does this case offer protection for the tablet, but comes rocking a kickstand and doesn't add too much in terms of weight. If you use your Surface Go on the road a lot you'll probably be interested in a great battery pack. And the Dell Notebook Battery Bank is a great battery pack. 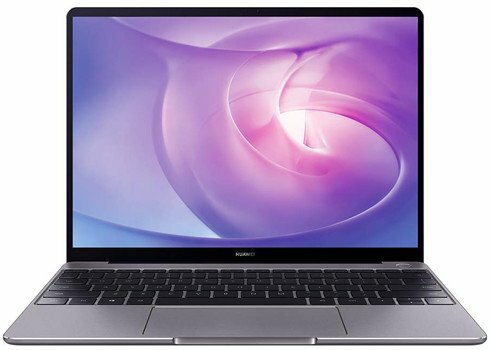 The 60-watt Anker PowerPort is a compact USB-C charger replacement for your Huawei MateBook X Pro. It's well-reviewed, it's reliable, and it's relatively affordable. The CalDigit TS3 Plus has an outstanding selection of ports and can charge your laptop with up to 85 watts of power, making it our top selection for a docking station. The CalDigit TS3 Plus is capable of delivering up to 85W to connected devices and houses 15 ports for hooking everything up. All of this makes it our top pick for the Alienware m15. The Amazon Basics battery charger doesn't try to be fancy, instead offering AA and AAA charging at an affordable price with a couple of neat extra features thrown in for good measure. The Snapmaker 3-in-1 fabricator is a fantastic machine for a family to start their 3D printing adventure. Because of its modular design and the availability of other fabrication systems at purchase, your family can learn 3D printing, laser etching, and CNC milling all from one machine! Despite its small build plate size, the Monoprice Select Mini Pro is still my top pick for those beginners who don't know what they want to print. There are alternatives if you are looking to print something larger like cosplay items, but for a starter printer, you really can't wrong with the Monoprice. 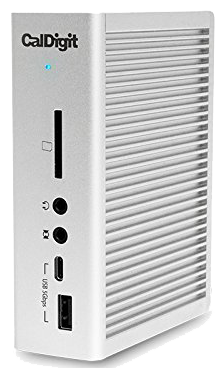 Thanks to HP's EliteBook x360 1030 G3 having a couple of Thunderbolt 3 ports, HP's own Thunderbolt Dock is your best option for adding connectivity. 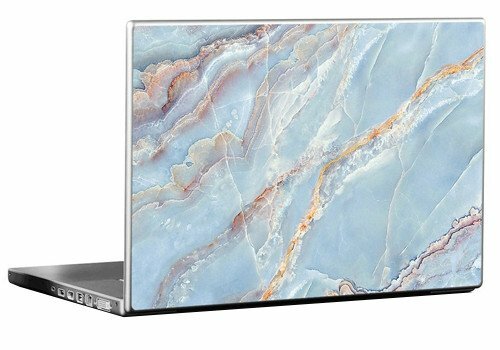 If you need a skin for your Huawei MateBook X Pro, dbrand offers the best customization options and provides a high-quality product that sticks down and fits your laptop with precision. 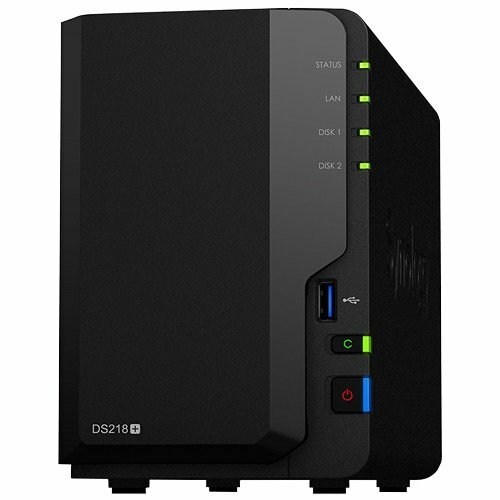 The Synology DS218+ isn't the most powerful NAS you can set up, but it is one of the better equipped prebuilt models offered by the company. Featuring a 64-bit Intel Celeron processor, it's possible to stream 4K content to devices that support the same file format without issue. 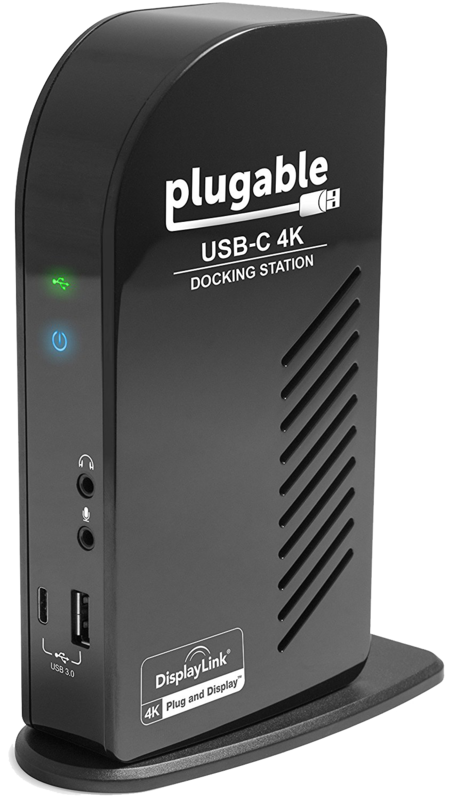 The Plugable USB-C 4K dock is a fantastic docking station that has numerous ports and does not require Thunderbolt 3, making it our top pick for the Inspiron 15 7000. The Seagate Ironwolf is a family of hard drives from a reputable brand that is specifically designed for use in a Network Attached Storage device. 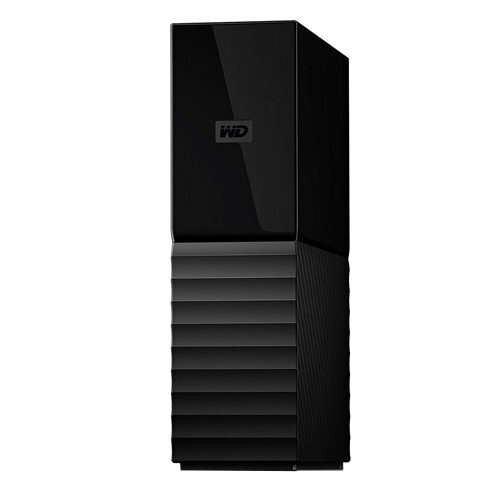 These drives are rated for continuous operation and sport advanced features you won't find in traditional desktop drives. The Samsung 860 EVO is your best bet if you'd like to upgrade the 2.5-inch storage in the Inspiron 15 7000 (7580 or 7570) to a solid-state drive (SSD). The laptop does also have an M.2 NVMe slot, opening up the possibility of adding a pricier but faster PCIe SSD. The Logitech MX Master 2S is a brilliant mouse and is the successor to the excellent original MX Master. 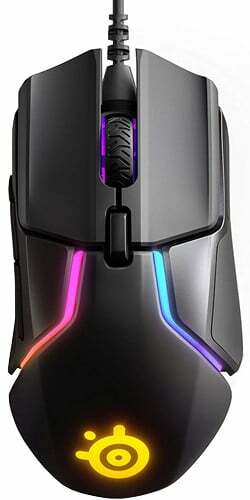 What Logitech has achieved is creating the best non-gaming professional wireless mouse. The Magigoo Pen is the very best adhesive for your glass print bed when using ABS, PLA, or PetG. It holds your print firm to the bed then releases it easily when cooled for a hassle-free experience. The Celicious Privacy Plus is currently the only privacy screen available for the Surface Go. We will continue updating this article as more become available. The amFilm tempered glass screen protector is our pick for Surface Go thanks to a low price and great feel once applied. The Surface Arc Mouse is an ideal mouse for your Surface Go thanks to its accurate tracking and lightweight, slim build that lets you easily carry it with you wherever you go. Dbrand is one of the most well-known names when it comes to custom skins, not only for the range of designs but for the quality of the product and the speedy delivery offered around the globe. 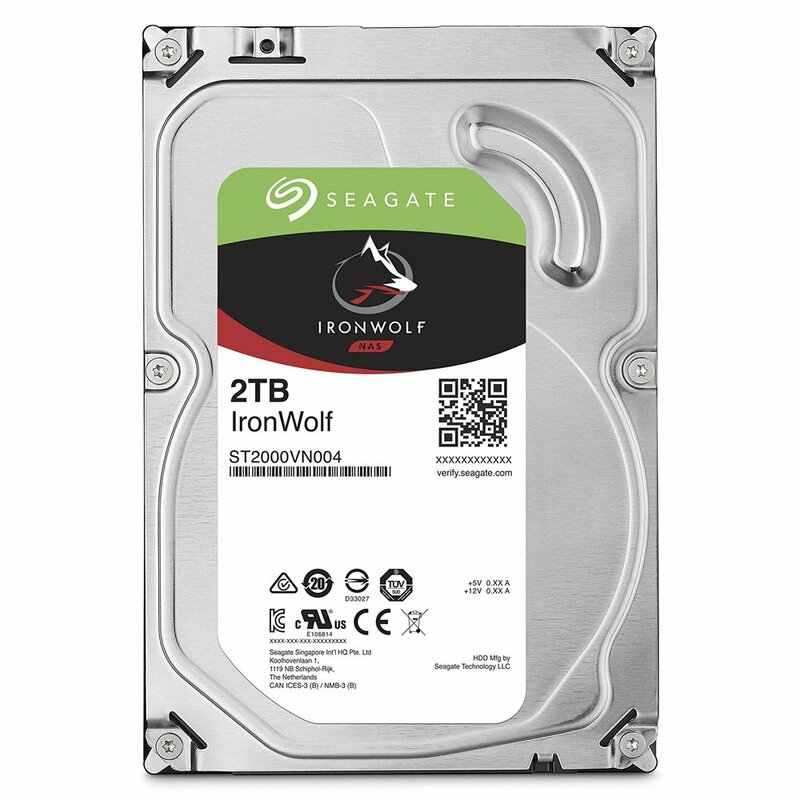 The Seagate Ironwolf is a family of hard drives from a reputable brand that are specifically designed for use in a Network Attached Storage device. These drives are rated for continuous operation and come rocking some advanced features you can't find on desktop drives. 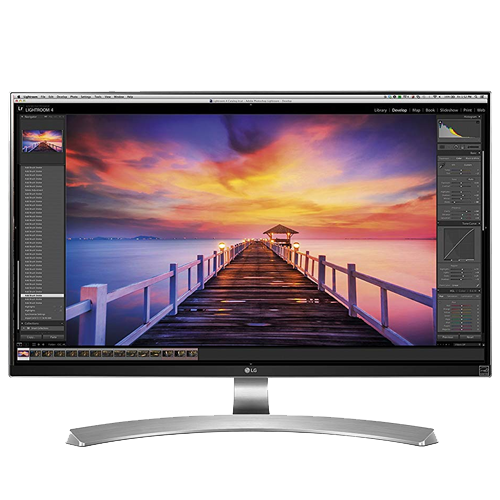 The LG 27UD88 is a solid external 4K monitor from a reputable brand. When you think about USB-C monitors for tablets and laptops, you may think they provide sub-par experiences. This LG panel says otherwise. DecalGirl Surface Go skins are the best options you'll currently find. There are a ton of design options available, they're well-made, and you can even design your own skin if you don't find something that suits you. The Surface Go is Microsoft's latest flagship tablet that can replace your laptop, and it's the one that gets the most right. 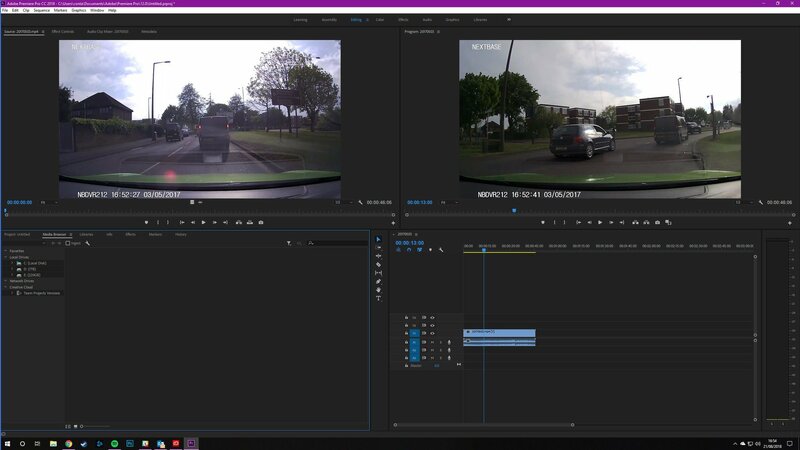 Adobe Premiere Pro is as powerful as it is complicated for newcomers. Should you find the time to master this incredible collection of tools and features, you'll become the master of video editing in no time at all. 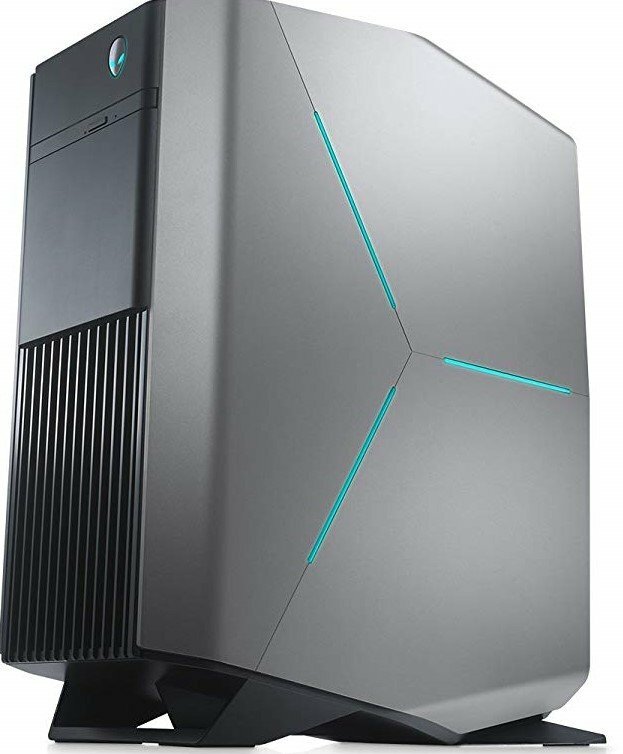 The Alienware Aurora R8 is built from the ground up with performance and unique design in mind, making it your best bet for an ultimate VR desktop. The best CPU you can get for Apex Legends is the Intel Core i7-8700K. It's not the most powerful processor on the market, but it'll give you excellent performance on Apex Legends and, honestly, you won't need much more. Pound for pound, the best gaming PC you can buy for Anthem is the iBUYPOWER Pro Gaming PC. Since it packs an NVIDIA RTX 2070 graphics card, an Intel Core i7-9700K processor, and 16GB of RAM, you'll be able to play Anthem on high settings and resolutions without any problems at all. The NVIDIA GeForce RTX 2070 is, pound for pound, the best GPU for pushing Anthem to higher resolutions at top settings whilst also maintaining a consistent 60 frames per second (FPS). It's not cheap, but it's an amazing graphics card that's worth every penny since it will handle games incredibly well. The Division 2 is a demanding game and requires quite the PC to power through all the detail and other in-game features. There are plenty of pre-built PCs to choose from, but Dell's Alienware Aurora is a fine example of a gaming rig done right. The NVIDIA GeForce GTX 1080 is one of the strongest graphics cards in NVIDIA's GTX 10 series of GPUs, and it has enough power to run Apex Legends at its highest settings incredibly smoothly. It's a bit pricey, but it's worth it overall, especially since you'll be able to use it with tons of other games, too. 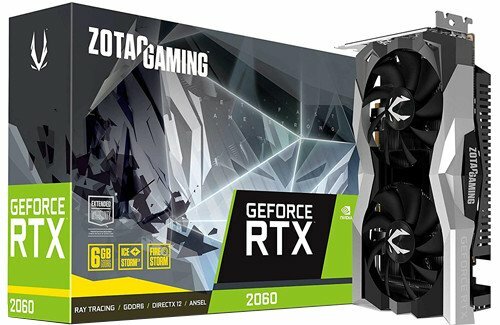 The ZOTAC NVIDIA GRTX 2060 is the best GPU you can buy for The Division 2 in terms of performance and so you don't completely destroy your budget. The Intel Core i7-9700K is a heavy-duty CPU that can handle Metro Exodus at the highest settings and resolutions, and it provides all the processing power that the best GPUs out right now need. It's expensive as far as CPUs go, but it's ultimately worth it in the long run since you won't need to worry about upgrading for a long time. The NVIDIA GeForce RTX 2080 Ti is the best overall GPU on the market right now, and if you want to push Metro Exodus' visuals to their limits while also playing at a silky-smooth framerate, you'll need one. The cost is, admittedly, quite steep. Nevertheless, Metro Exodus looks and feels like a game ahead of its time, so its highest settings demand the very best. 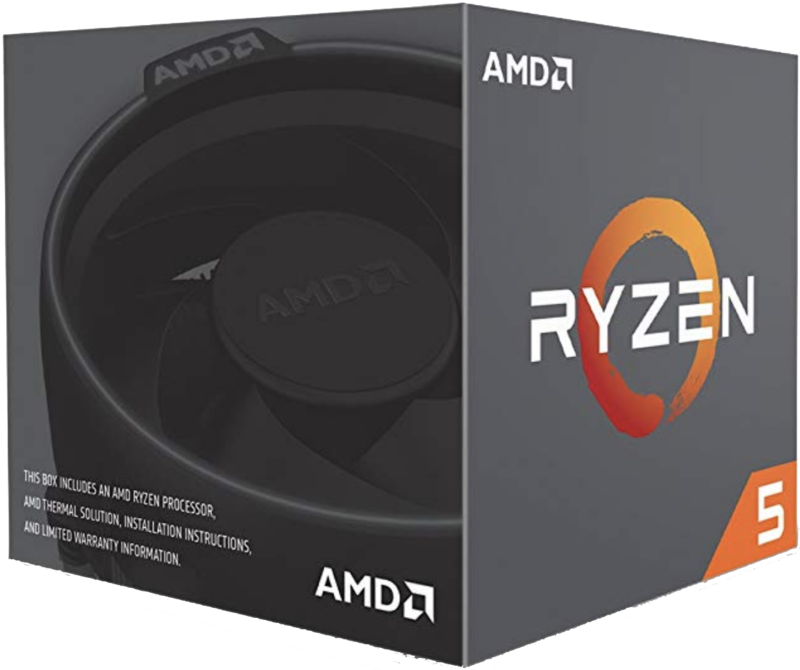 The AMD Ryzen 5 2600 is the best CPU you can buy for The Division 2 in terms of performance and value. If you thought you had to build a gaming PC to get the most out of it, you'd be wrong. There are amazing pre-built rigs out there, like the Alienware Aurora, that give you all the fun without any of the fuss.